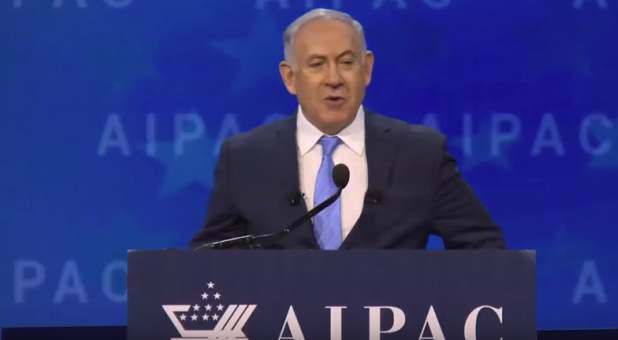 Speaking before the annual American Israel Public Affairs Committee conference in Washington Tuesday, Israeli Prime Minister Benjamin Netanyahu warned of a clear and present danger facing the world: the threat of a nuclear Iran. It was good to hear him quote Scripture – the Book of Esther. “Darkness is descending on our region,” Netanyahu warned, naming “radical tyranny” as the force behind Tehran’s quest to build an “aggressive empire” that includes Iran, Iraq, Syria, Lebanon, Gaza, Yemen and more—all in a quest to seek Israel’s destruction. He condemned President Obama’s 2015 Iran nuclear agreement and said Iran its proxies are looking for ways to attack Israel. “In addition to moving its army, its air force, its navy to Syria to be able to attack Israel from closer hand—it’s also seeking to develop, to build precision-guided missile factories in Syria, Lebanon against Israel. I will not let that happen,” he vowed, before praising President Donald Trump for his firm stance against a nuclear Iran. “President Trump has made it clear that his administration will not accept Iran’s aggression in the region. He has made clear that he too will never accept a nuclear-armed Iran. That is the right policy. I salute President Trump on this,” Netanyahu said. “And the president has also made it clear that if the fatal flaws of the nuclear deal are not fixed, he will walk away from the deal and restore sanctions,” he added. “Israel will be right there by America’s side, and let me tell you, so will a hundred countries in the region. Netanyahu concluded by reminding those present that the “wellspring” of the U.S. and Israel’s enduring friendship was their shared values, under girded by a strong faith in God. “And it’s because we’re inspired by the same ideas because we’re animated by the same values that America and Israel have forged, an eternal bond that can never ever be broken,” he said. On Friday, July 4th, a 42-year-old Iraqi Jihadist leader who fights under the name Abu Bakr al-Baghdadi appeared in a mosque in the city of Mosul, which his group ISIS (Islamic State of Iraq and the Levant) had seized weeks earlier, along with swathes of Iraq and Syria. 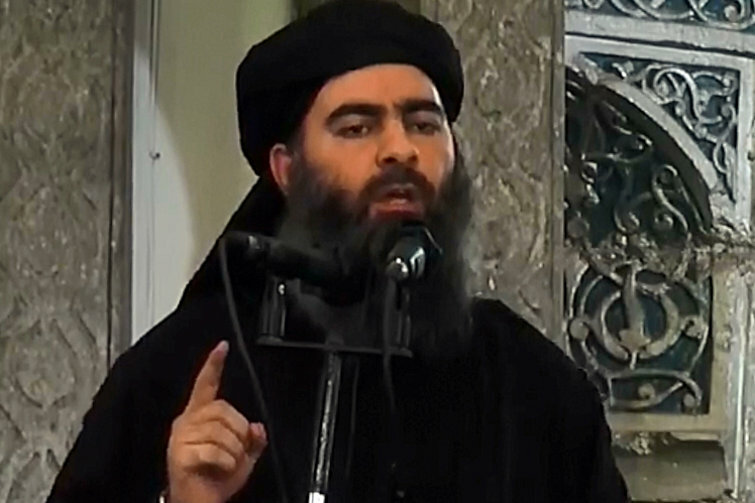 Al-Baghdadi, dressed in long black robes delivered a sermon announcing that he would henceforth be known as Caliph Ibrahim, emir of the faithful in the Islamic state. A caliphate is an Islamic state – and then some. In theory, a caliphate is more than just a country that happens to be officially Muslim; it is supposed to encompass every Muslim on earth. The last time that sort of caliphate existed was many centuries ago. But the word caliphate still evokes the idea of a glorious and unified Islamic civilization. What does a caliph do, exactly? Originally, the caliph was the person who took over Mohammed’s (1) rule over the unified Islamic state and (2) responsibility for all Muslims. Over the next seven hundred years, Mohammed’s memory obviously faded, but those remained the two defining responsibilities: rule over a unified Islamic state and bear responsibility for the community of all Muslims, or the ummah. The present-day Abu Bakr al-Baghdadi, in declaring himself a caliph and his terrorist mini-state a caliphate, is communicating that he believes he is fighting on behalf of all Muslims worldwide (he does not count Shia Muslims in this, only Sunnis) and that he is the representative of God on earth. 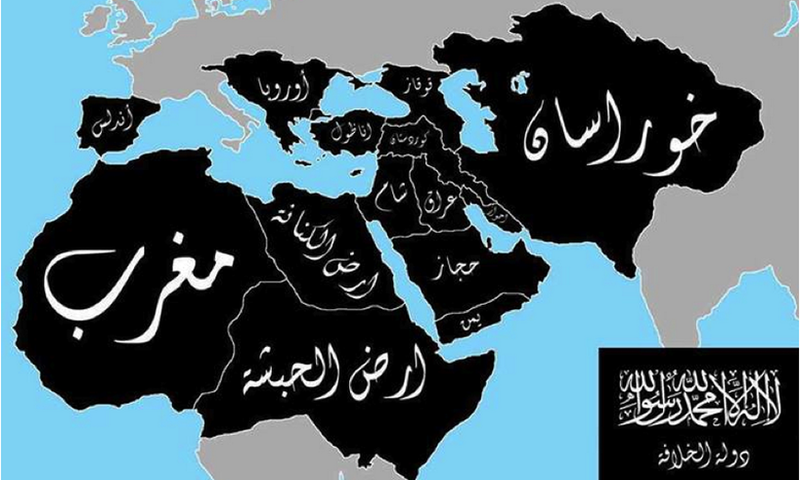 He is also sort of suggesting a desire to continue ISIS’s advance until he has conquered all Muslim-majority lands, which is an aspiration that’s hinted at frequently in jihadist maps of a unified Islamic empire – see map above. Could this man lead the armies in the battle of Gog and Magog referred to in Ezekiel 38 & 39 which occurs about the middle of The Tribulation?